The light strip is one of the best modifications you can add to your machine. Our light strips come pre-wired for 12vdc. You will need to attach the light strip then run the wires into the backbox and splice into 12vdc power. 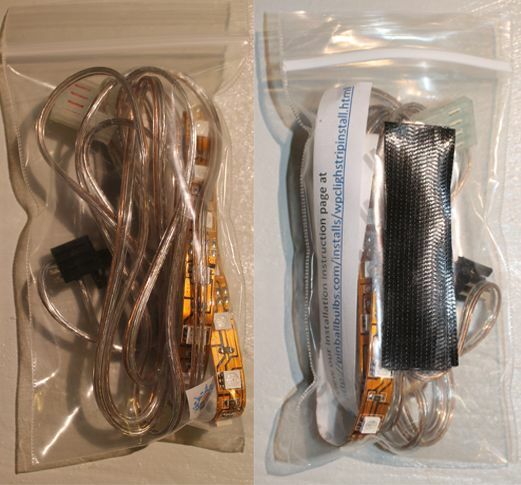 The WPC light strip kits come prewired ready to plug into the power driver board and daisy chain the existing connector. intended for use under your backbox pointing at the back of the playfield. It could also be used under ramps or anywhere you want more light and nice glow effect! This strip will be mounted on the very top of the metal ball guides that funnel the ball into the ball trough. It's high enough that the ball cannot hit the strip.